This is Claude Gordon's 110 minute video Master Class, which was originally recorded on analog video tape in the 1980s, transferred to DVD and now newly improved and included within Jeff Purtle's book Hit it Hard & Wish it Well, available internationally on the iBooks Store. Claude video demonstrates how easy it is to play to a Double High C down to a Pedal C. Also demonstrated are breath control, finger technique and how to play pedal tones. Plus, the additional content of the ebook clarifies and elaborates on how to apply the ideas to personal practice routines. Most brass playing method books and tapes tell you, "It's ok to dream." Claude Gordon teaches you how to make your dreams come true! "As simple as simplicity is, it escapes most people. The simple truth about brass playing is no exception. The notion that brass playing is a 'big mystery' has plagued the aspiring player for decades, leaving even the most experienced player a legacy of struggle, unanswered questions, self doubt and fear. I know, I went through all of that. There is not one wrong way of brass playing that I do not know about from inside out...through first hand experience! Personal experience is the best teacher if it can be put into comprehensive words. The wise recipient of such words may then set the course for early achievements he might not have had for several years or perhaps not at all, had he gone it alone. The contents of this video demonstrate, in a precise and easy to comprehend setting, the facts concerning brass playing. The approach is direct and practical, putting brass playing on its' proper track. 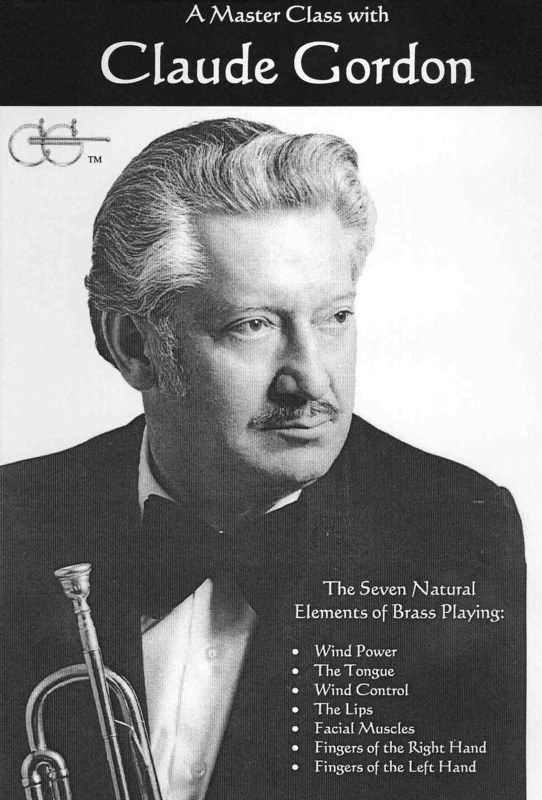 If properly applied, The Seven Natural Elements of Brass Playing will eliminate the false sense of need for gimmicks, unproven theories or trial and error ideas. It will empower the brass player to overcome self doubt and fears through correct understanding and application resulting in successful brass playing."